The 2019 FIS Snowboard, Freestyle and Freeski World Championships kick off today (Friday) in Utah with snowboardcross, and there are nearly a half dozen local athletes to watch for over the course of the next 10 days. In moguls, watch out for Vail’s Tess Johnson on the women’s side and Vail’s Hunter Bailey on the men’s side. Also keep an eye out for Taylor Seaton of Avon in men’s halfpipe, Meghan Tierney of Edwards in women’s snowboardcross and Jake Pates of Eagle in men’s snowboard halfpipe. U.S. Ski & Snowboard announces U.S. 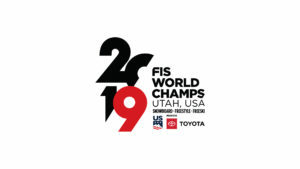 Teams for the 2019 FIS Snowboard, Freestyle and Freeski World Championships, presented by Toyota, taking place in Utah from February 1-10, 2019.